The Star is one of the most luxurious casinos within Australia, based in Sydney, New South Wales. Based along the beautiful Pyrmont waterfront, it is a must see destination for gambling aficionados visiting Sydney, combining premium gaming within a stunning hotel boasting decadent restaurants, lively bars and a vibrant nightlife. The Star has gone through many transformations over the past two decades. Formerly known as Star City and Sydney Harbour Casino, The Star is the second largest casino in Australia behind the Crown Casino in Melbourne. Plans for the casino originated back in 1994 when a consortium of Leighton Properties and Showboat was announced as being the successful applicant for the state’s first casino licence. A temporary casino was opened in September 1995 on the site of former wharves 12/13, while the permanent casino was being built. Star Sydney hosts a large selection of blackjack, poker, baccarat and more. The casino which stands today opened its doors in November 1997 under the ownership of Tabcorp. In 2009, works estimated at $475 million were announced which included the re-orientation of the casino towards Darling Harbour with a new entrance and drop off zone. These works were completed in late 2012, and were said to have cost $961 million. A demerger of the Echo Entertainment Group Limited from Tabcorp was implemented in June 2011, with the former set to be in charge of Tabcorp’s hotel and casino division in order to allow both companies to flourish. In 2015, the Echo Entertainment Group was re-branded as the Star Entertainment Group. In 2016, The Star has announced further re-development plans to enhance the site, including a $130 million refurbishment of Astral Tower and Residences as well as new places to play within the hotel and a range of stylish new bars and restaurants. What casino games are on offer at The Star? There is a wide variety of games on offer at The Star, with something to suit everyone’s desires. The gaming floor is over 100,000 square feet and boasts close to 1,500 electronic gaming machines, ranging from your basic reel games right through to the more interactive, skill based slots. 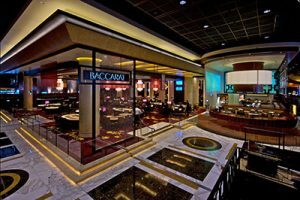 Baccarat and high-limit variants of punto banco are popular at The Star. You can also head towards The Star’s dedicated TAB area to bet on a racing or sporting event of your choice. 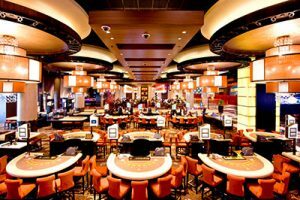 The newly refurbished private gaming areas open up a whole new world of gaming and sophistication for VIP players. The Oasis (level two) and Sovereign (level three) offer Gold Members and Higher the premium experience. Whether you feel like fine dining at your fingertips or the luxury of the exclusive relaxation lounges, you will be treated like a King or Queen at The Star. The private gaming rooms at The Star are by invitation only, with an application form for membership as an International, Interstate or local member available from the casino. Members Cash Draw: All Star Club members get the chance to win $10,000 every Wednesday throughout November and December. Monday night turbo tournaments: Every Monday night, Star Club members can take part in an exciting Poker tournament, with a $220 buy in and 20 minute blinds. Weekly Wednesday: Another poker tournament run each Wednesday at 6:15pm. This is a tournament for high stakes players with a $330 buy in. You can also head to The Star for a couple of more relaxed games, such as Bingo, which is held on Tuesdays and Thursdays at 11am, 2pm and 5pm. Aside from the casino, patrons can also experience the decadence of The Star’s luxury hotels and spa. There are multiple hotel rooms, apartments, suites and penthouses available within the hotels names The Darling, Astral Tower and Astral Residences. You can also enjoy fine dining at The Star, featuring cuisines from Japan, Italy and China, while there are also several casual options offering pub and Asian classics, wood-fire pizza and a premier buffet. Feel like hitting the town? 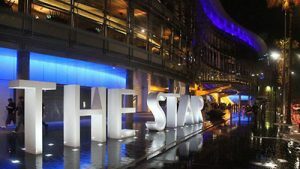 The Star is your one stop destination, featuring a variety of sophisticated bars and lounges as well as a sports bar and nightclub-inspired dance rooms. Finally, you can also treat yourself at The Star with a variety of gifts available through the site’s luxury shopping destination, with big-name brands such as Gucci, Calvin Klein and Chanel all available within the atrium on ground level.